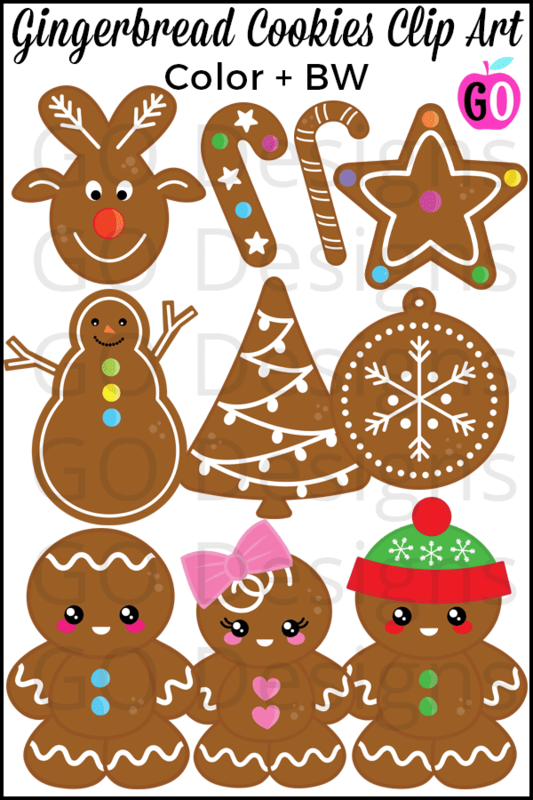 This sweet set of clip art includes a reindeer, two candy canes, a star, a tree, an ornament, a snowman, and 3 gingerbread people. It also includes the black line art for each of the colored images. And BONUS! 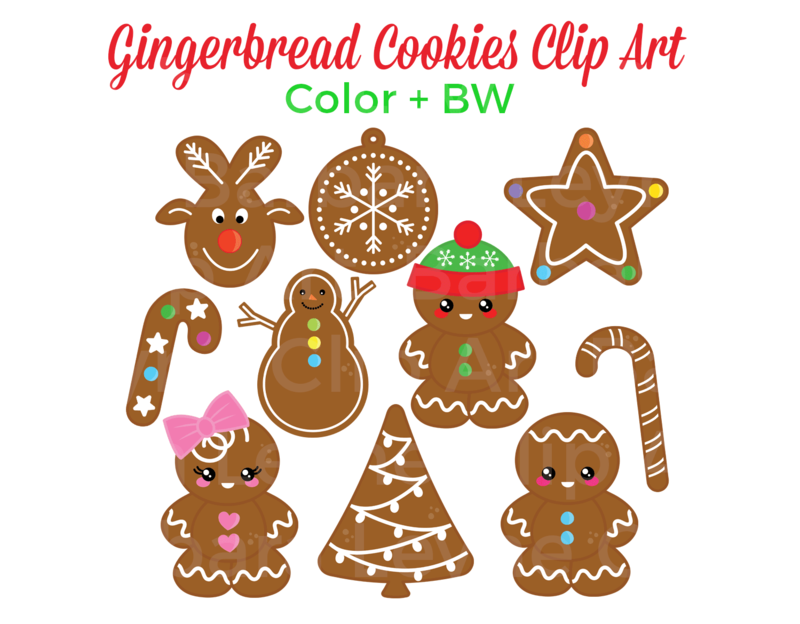 I threw in an extra little gingerbread girl for a total of 21 images. If you're looking for some more clip art, I have some super cute Christmas trees you don't want to miss.